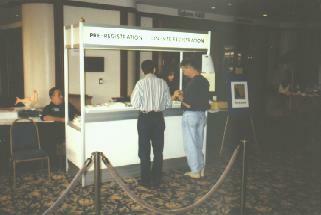 As attendees arrived up the escalator they were greeted by Andy, Herb and Carolyn who ran the Registration Booth. 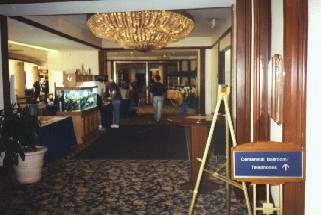 Once checked into their rooms attendees entered the Conference area from the elevators. 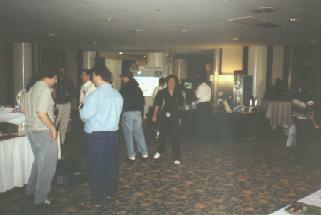 What attendees saw projected onto the 9 foot by 12 foot screen in the main speaking room was operated behind-the-scenes by CJ Sheppers, Richard Hubbard and Richard Heryford. 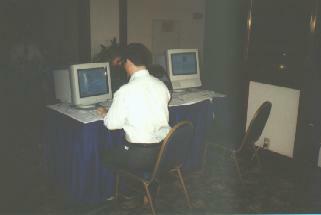 Additionally all images that were projected onto the big screen were also seen on three 30" monitors at the back of the room, and in both Exhibit area's. 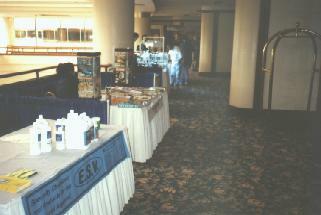 Just to the left of the registration desk, along the outer edge of the foyer, was ESV Co, TFH Publications, Advanced Reef Technologies, SpectraPure, Fancy Publications and Cercona. 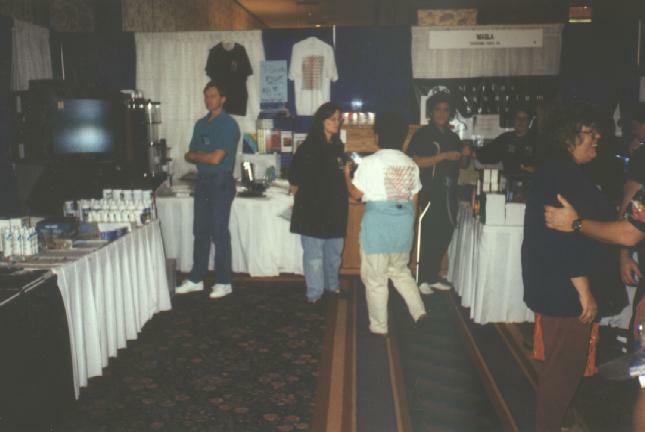 Behind the registration desk was Warner Marine Research, Dirks, Aquarium Supply and Surplus, Marine Ornamentals 99, Aquarium Pharmacuetical, Perfecto Mfg., Contempo Aquatics and US Aquarium. 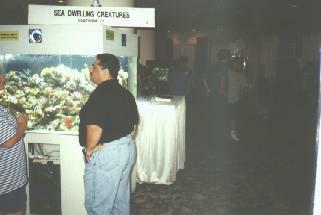 Upon enetring the foyer the BRIGHTEST exhibit was Sea Dwelling Creatures with their awesome reef tank and livestock. 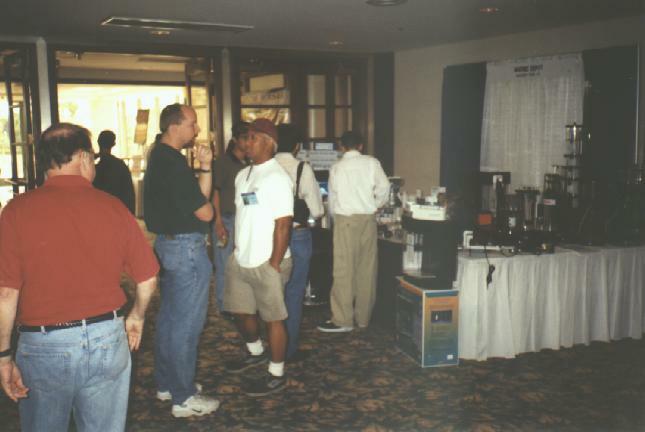 Behind them was CPR, Wasatch Marine, FAMA and Coral Technologies. 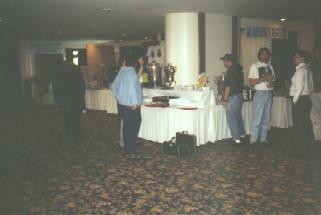 Towards the middle of the foyer was Stanley Brown of the Breeders Registry, Tropical Science and A&T Woodworking. 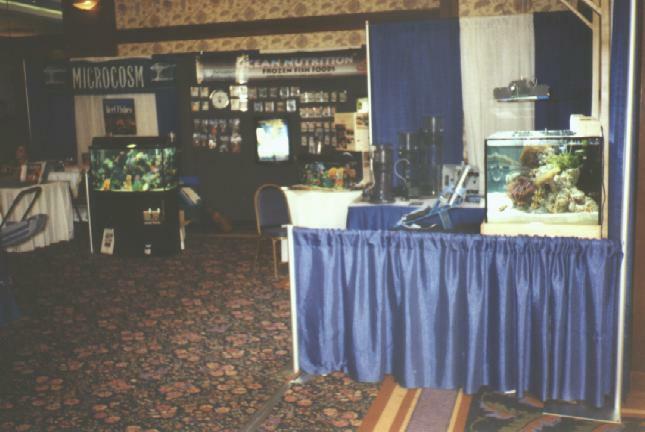 Looking back across the foyer West Coast Aquatics and MASNA. 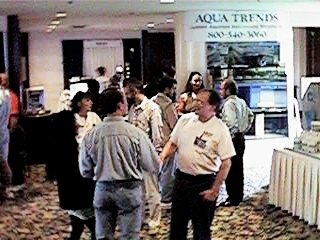 At the opposing end of the foyer was ECO Systems, KNOP, Aqua Trends / Harbor Aquatics and Marine Depot. 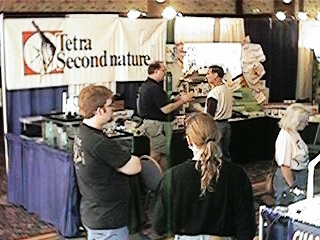 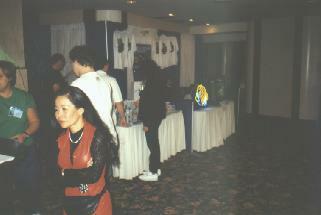 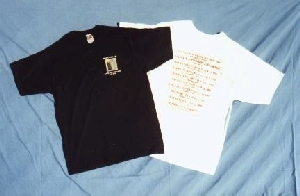 The main exhibit room contained the greater number of exhibitors starting with the MASLA Sales Booth which offered Polo Shirts, T-Shirts, MACNA X Video Tapes, SPS Fragments, Tank Raised Clowns, Cardinals and Psuedochomis's, along with a wide assortment of extremely attractively priced drygoods, books ( with Author signings ) and Mangrove Pods. 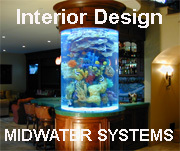 Just to the opposite side of the door was Microcosm, Ocean Nutrition, Aquadyne, and facing the door was Aquatic Revolution and Energy Savers / Coralife. 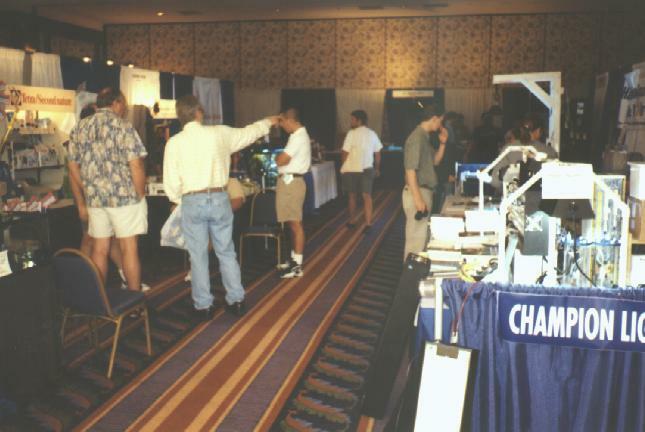 Down the middle row was Champion Lighting, Niche Engineering, Hamilton Technologies, Aquatronics, Neptune Systems, Aquarium Systems, and Tetra Second Nature. 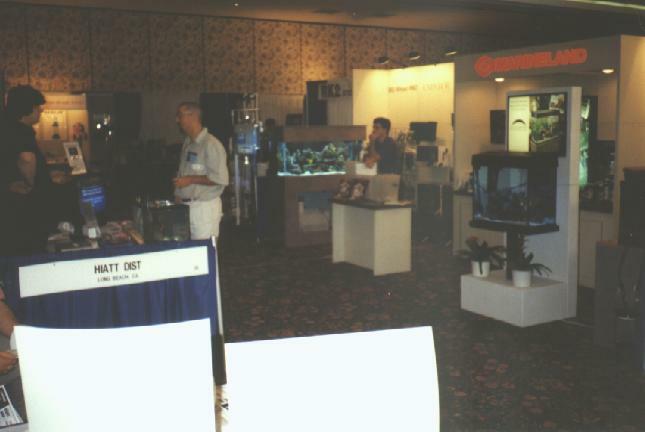 Across the rear row was Marineland, RK2 Systems, Aquatic Eco Systems, Marilyns Fishy Business, Hiatt Distributors and Rainbow Lifegaurd. 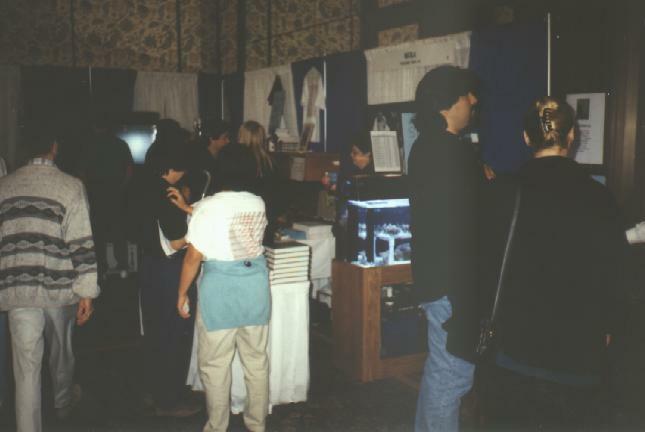 Flanking the exhibitors across one side of the room was Fish Dimension Supply. 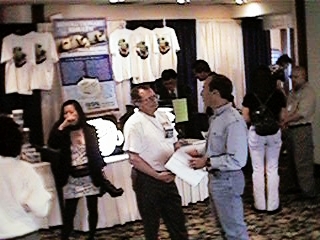 Bob Keane and Mrs. Daniel Knop making pitches for their products, behind them are the Aquatrends / Harbor Aquatics and Aquatic ECO Systems booths. 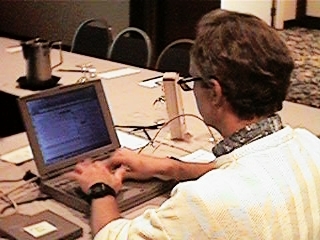 Bruce Carlson, of the Waikiki Aquarium, participates in the MACNA X On-Line Chat Room that ran the entire lenght of the conference in which each speaker was a part of following their presentation. 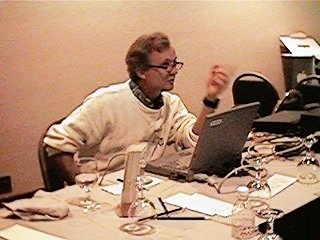 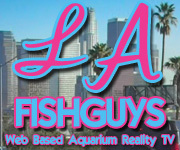 All Internet services were provided by John Benn of PetsForum Group. 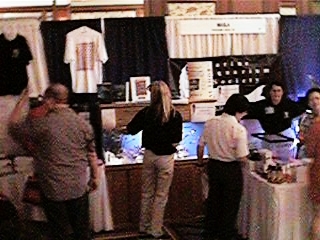 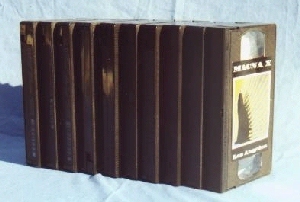 The MASLA Sales Booth. 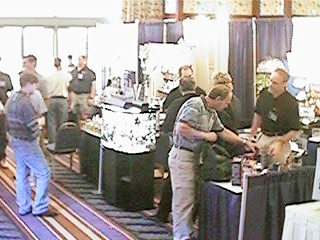 All the exhibitors, such as Tetra, recieved tremendous exposure. 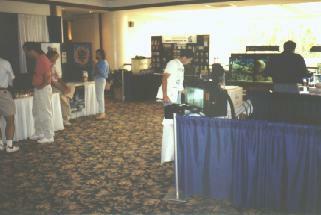 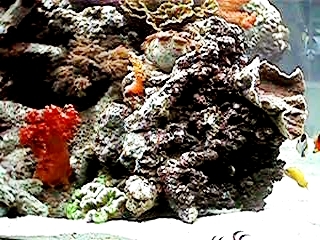 Aquarium Systems displayed one of the many exciting aquariums as well as their new products. 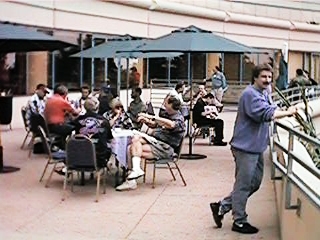 Once one was wore out touring the 57+ exhibit booths, the WESTIN Hotels Ocean Terrace was a great place to sit, relax, discuss and enjoy the Long Beach harbors great view. 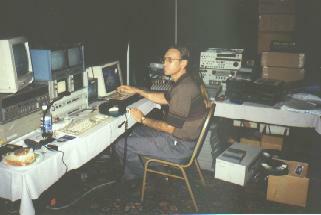 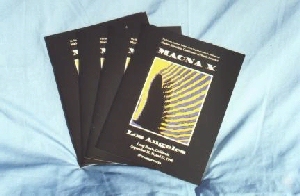 A special thanks to Bill Rose for his assistance and contribution of the above photographs.